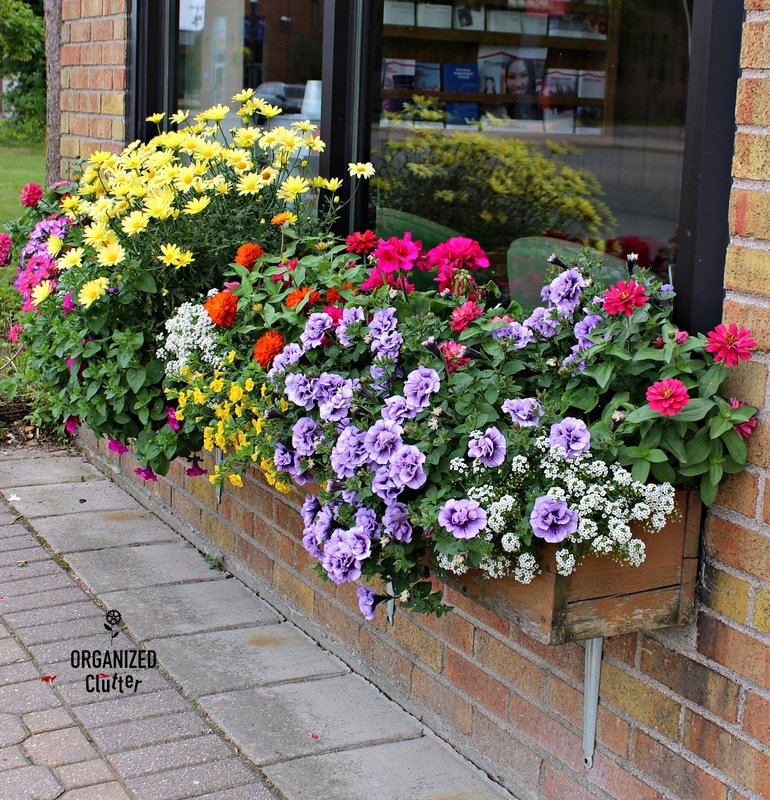 The prettiest window box in my town is not mine! It's my sister in law Kris's. The window box at American Family Insurance is ALWAYS bursting with color! On this end are double petunias, zinnias, lobelia and geraniums. 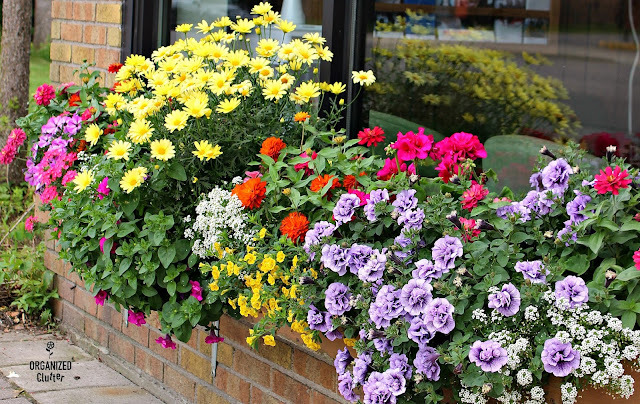 Then double yellow calibrachoa, double profusion zinnias, geranium and white alyssum. 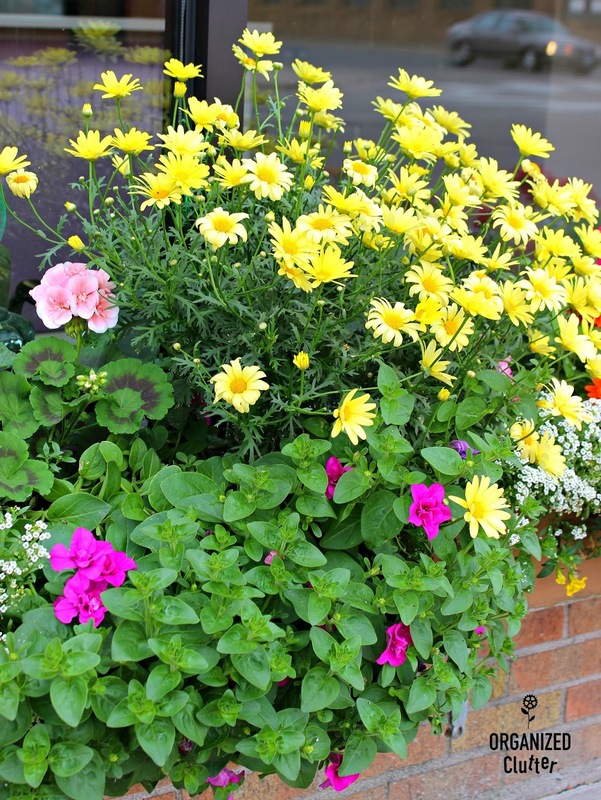 The taller yellow daisies are Butterfly Marguerite Daisies and in the lower left are double petunias in hot pink. 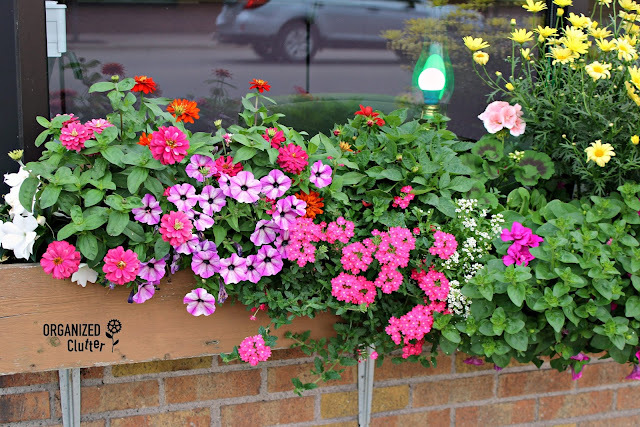 On the left of the window box are pink verbena, more petunias, zinnias, and white petunia on the very far left. 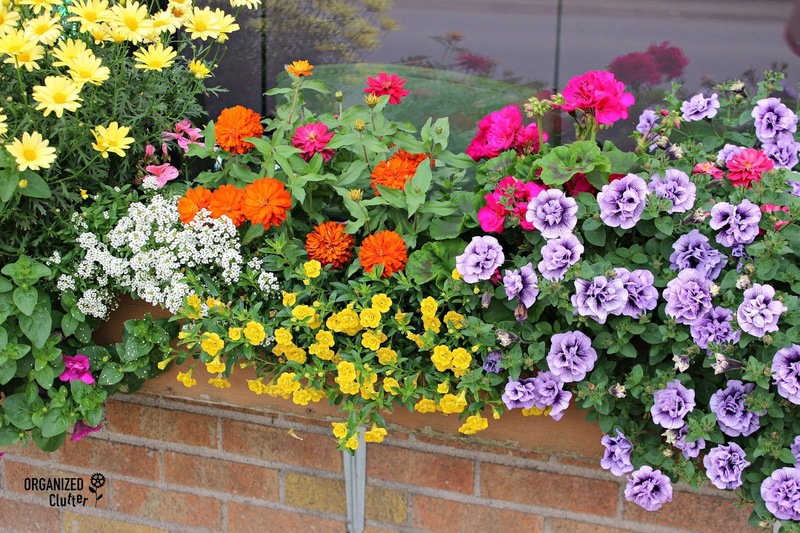 Does your window box look like this? If it does, it's the prettiest window box in town! Wonderful! For sure it is the prettiest! 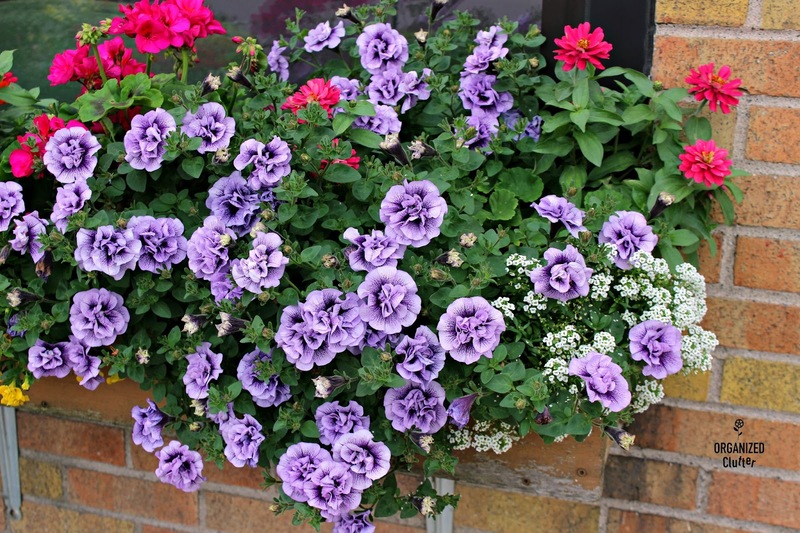 Look at those colors! Amazing! Oh how beautiful - thanks for sharing. Spectacular! I'm so envious. We're in the middle of winter here and things are so drab!